SLT students of Bulo East Elementary School with Mrs. Liezl Contis, Mrs. Rennette Dagway, Lakan Sumulong of PBCI, and Mrs. Rebecca Alngag Silip. 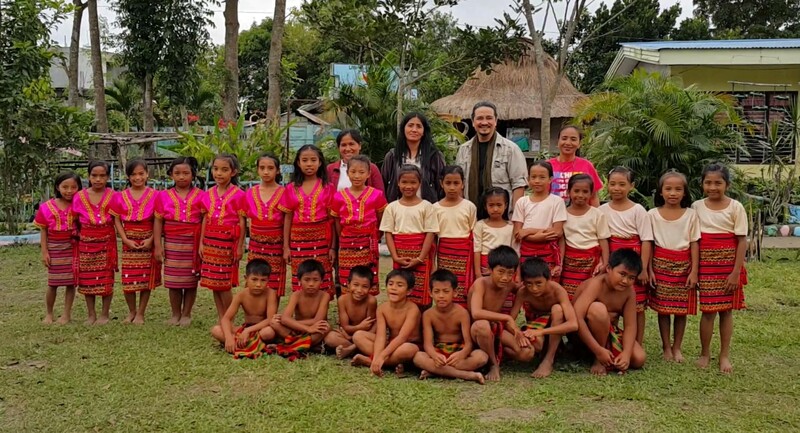 The Peace and Reconciliation Community in Kalinga is working in partnership with the National Commission for Culture and the Arts (NCCA) as well as with various stakeholders in Barangay Bulo East in Tabuk City to develop the Bulo East School of Living Traditions (SLT). Bulo East SLT started more than ten years ago as a cultural dance troupe of Bulo East Elementary School led by one of the local teachers, Mrs. Rebecca Alngag Silip. The biggest event where they performed was at the Cultural Center of the Philippines in 2006. In May 2016, various stakeholders — the elementary school, the barangay council, the tribal elders, the Division and District levels of the Department of Education, the Tabuk City Government, the Parents-Teachers Association, and the local youth organization — converged to institutionalize their School of Living Traditions. There were four program thrusts identified: practice, promotion, research, and integration. They also enumerated their organizational thrusts: resource development; capacity building which includes leadership development and management; and, partnership development. The project begins with the construction of the SLT building which will serve as the physical hub to attain the above-mentioned thrusts. The SLT building will serve as a learning center for the SLT students and a meeting place for the SLT team and their partners. This project is also the starting point of the master development plan that the SLT shall craft in the next two years. This development plan will be made in consultation with a landscape architect. 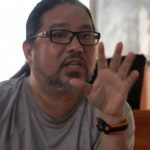 The community leaders dream to develop the whole Barangay Bulo East to become an indigenous cultural learning center. PBCI is grateful for the Kalinga First Nation for allowing us to walk with them for the past several years, as we learn their native peace and reconciliation principles and practices. This is Chengli, my sister. She and our mother graciously allowed us to record and post a sacred chant of the people of Sumacher–the tribe where I belong.